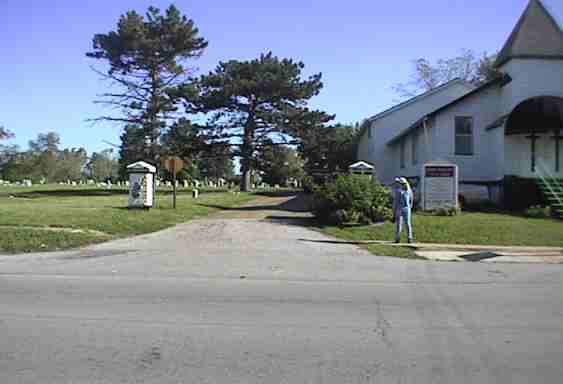 Friends of Greenwood Cemetery Association incorporated on March 1, 1999, as a not-for-profit corporation. 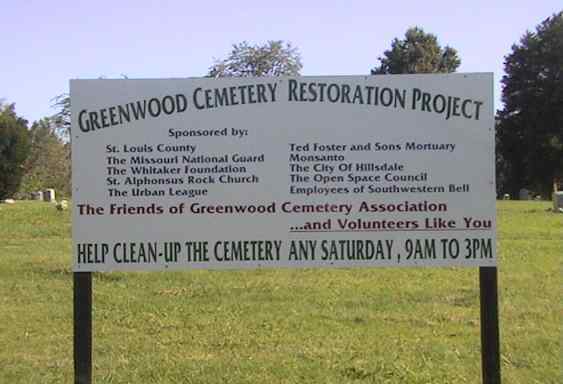 Our purpose is to restore and preserve Greenwood Cemetery. We plan to turn Gereenwood into a vast and beautiful regional park and an important educational for St. Louis County, reflecting the rich African American heritage of the region. 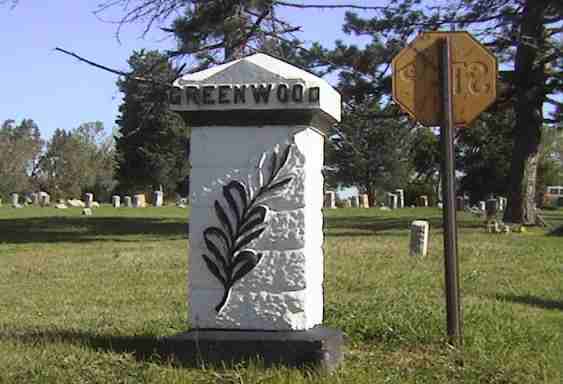 Greenwood Cemetery is located at 6571 St. Louis Avenue in Hillsdale Missouri. You are the 21412th Visitor to this Site. This page was last updated Thursday, 28-Mar-2002 11:02:21 CST by Scott K. Williams of Florissant, Mo.